Although online registration has been closed, HAVE NO FEAR!! You can register on race day - Saturday October 8 - from 9:30am until 10:55am at The Greater Pittston YMCA. Race pre-registration packets can also be picked up at this time. Thank you for supporting Paint Pittston Pink! 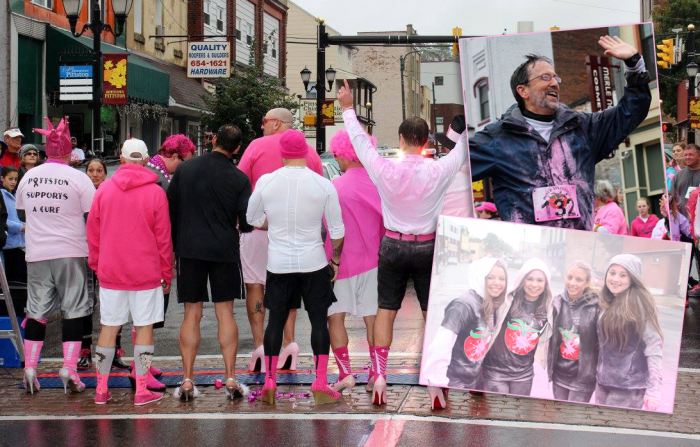 We look forward to seeing you on Friday at The Red Mill and on Saturday for the pinkest race in town! Get your pink extension for $10! Join the fun and take a chance on basket raffles all while enjoying snacks and refreshments! Need we say more?! Join us for a super fun GLOW PARTY and listen to an amazing band! Featured beer by SBC! A $10 donation will be asked at the door. A $5 donation will include all-you-can-eat Sabatini's pizza and the music of Andrew Sleboda! Join us for an eco-friendly lantern release from Pittston's Riverfront Park area. Only 200 lanterns will be sold so act quickly! Join us HOLLYWOOD style as we roll out the pink carpet! $50 includes food, open bar and night out with your friends! Join us for an all-inclusive evening of painting, food, and FUNdraising for Paint Pittston Pink at Callahan’s Cafe and Coffee House. Over 40% of each purchase will be donated. Appetizers will be provided by Callahan’s, beer by Susquehanna Brewing Company and wine by Bartolai Winery! All painting supplies are also included. Register and pay online via http://paintnpinot.com/product/paint-pittston-pink-at-callahans-public-fundaiser/ VERY FEW SEATS LEFT! Join us for an “aroma journey” paired with a champagne toast in the warm, relaxing atmosphere of JK Holly. JK Holly will feature sampling of healthy and detoxifying teas and will generously donate 10% of the items sold during this amazing event. Register and pay online via http://www.signupgenius.com/go/4090c44aaae2ca4f58-pink VERY FEW SEATS LEFT! “Men in Heels” include Jim Bobeck, Matt Carmody, Dave Day, Jimmy Fisher, John Haas, Jerry Mancinelli, Jerry Mecadon, Joe Nealon, Vito Quaglia, Michael Rebovich and Tommy Tigue. They've raised approximately $12,000 so far! Help them hit their goal of $30,000!!!! Luxury Lotto: New for 2016! A random winner will be chosen daily from October 10th through November 8th. All names will be entered to win the grand prize of $500! Items include a FitBit, American Girl Doll, Beats by Dre, Kate Spade purse, Under Armour sunglasses, and autographed Notre Dame jersey and a $500 Cash prize on November 8th! 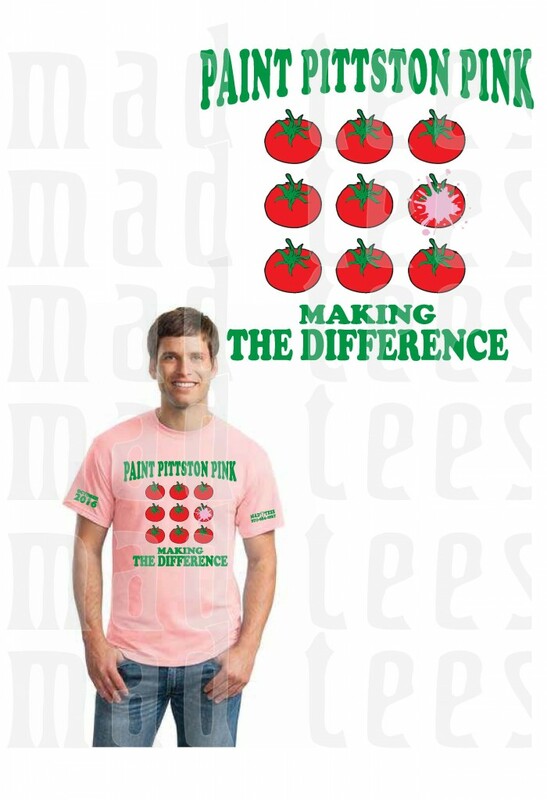 Get your Pink Hair Accents to show your support of this great cause for only $15. 100% of the proceeds will go to Paint Pittston Pink. Call for an appointment and show the world you helped in the fight against cancer! - Paint Pittston Pink is currently selling bricks, trees, benches and sponsorship for The Paint Pittston Pink Meditation and Reading Garden at The Pittston Memorial Library. 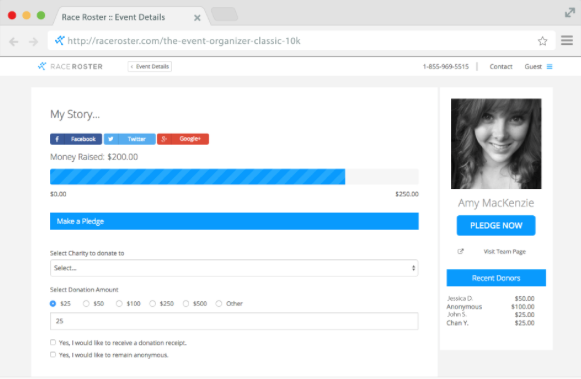 Donations range from $100 to $10,000. Honor or memorialize your loved one while supporting a great cause. Please contact Barb Sciandra for an order form. This sale ends on September 1, 2016.